When I sit down to talk to homeowners about choosing paint colors, one of the things I hear over and over again is that people feel obligated to choose a neutral color that will make their house as easy as possible to sell in the future. Although this is a logical approach to deciding on a paint color, it is a little bit disappointing. Because most homeowners are so focused on thinking about selling the house in the future, they fail to enjoy it in the present. Ideally, they should choose a paint color that they love. That way, they can get as much enjoyment out of it as possible while they live in the home. At the same time, of course, it is worth keeping the resale value in mind when choosing paint colors. This is especially important if you plan on selling relatively soon. In that case, it makes sense to choose neutral shades that won’t drive buyers away. If you choose colors that are too bright or colorful, you may have a hard time getting as many people to look at your home. Whatever colors you choose, you should make sure that they work well with one another. The colors should flow smoothly from one room to the next, complementing one another to create a cohesive color palette for your home. Ultimately, what matters most is that you create a space that you love. Choose colors that inspire you and that fit with your personal tastes. That way, you will be able to enjoy your home every single day that you live in it. Shades in the same color family generally work well with one another. For instance, multiple shades of green will usually go together nicely. Shades that are located on either side of the color on the color wheel are also a good choice. For instance, orange and green work well with yellow since they are located directly next to it on the color wheel. The colors should work well with the rest of your decor. Make sure that the color complements the undertones of your flooring and furniture. The good news is, there are many different shades of each color available. For instance, if you decide you want a green room, you should be able to find a shade of green that works with your existing decor. Try to avoid trends, opting instead for colors that you really love. When looking at the color wheel, colors that are located opposite from each other also work well together. These colors are known as complementary colors. For example, blue and orange work well together since they are complementary colors, as do red and green or purple and yellow. If you are painting multiple colors on the same wall, choose complementary colors or different shades of the same color. Base Paint Colors On Furniture? Another question that I commonly get asked is whether it is best to base the color scheme of a room around the paint color or around the furniture and accessories. There really is no clear-cut answer to that question. It depends on what features of the room are the most important to you. A great example of this is if you have an heirloom quilt that you want to feature. In that case, you should choose a color that complements the quilt and draws attention to it. On the other hand, if you don’t have any furniture or accessories that mean a lot to you, you can choose your paint color first before you select your decor. Home ownership is something that most people dream about. It takes a long time to come up with enough money to buy your own home. Once you get settled in, you should try to make it a space that you love. Don’t get so focused on preserving the house’s resale value that you sacrifice your own personal tastes in the process. Instead, choose colors that you love. That way, you can create a warm, welcoming space that really feels like home. Remember, you can always add a fresh coat of paint in a neutral color before you decide to sell in the future. You may as well enjoy your home now while you are living in it. 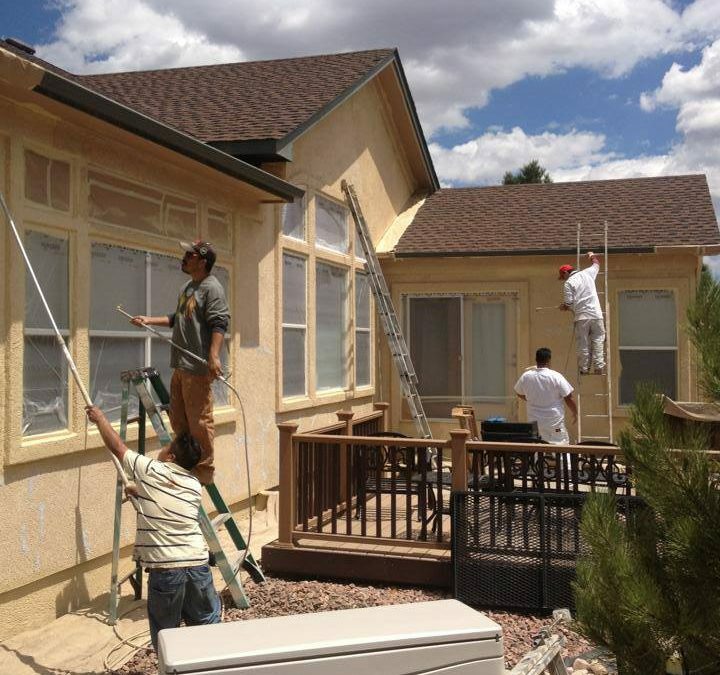 Remember to ask your painting contractor for his opinion – he’s been there many times before!